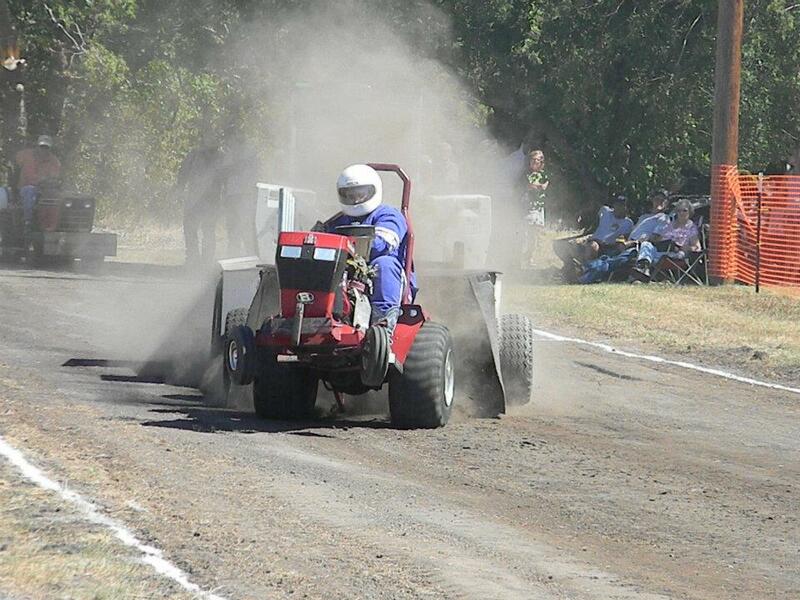 The countdown for the Old Time Saturday in Farmersville is underway for the LSGTPA tractor pulling teams. 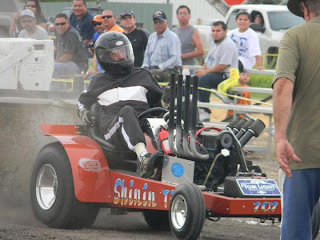 The 2012 season midway point has come and gone, and now the tractor pulling teams are down to three remaining, back-to-back-to-back events to determine the LSGTPA 2012 Champions ! The first of the three pull marathon will be in Farmersville, Texas on October 6th, and will be a featured event during the Old Time Saturday celebration. Kody Langham takes the points lead into Farmersville, with three wins on the season. Aidan Hovind will be aboard his 'Yes Deere' tractor in Farmersville. 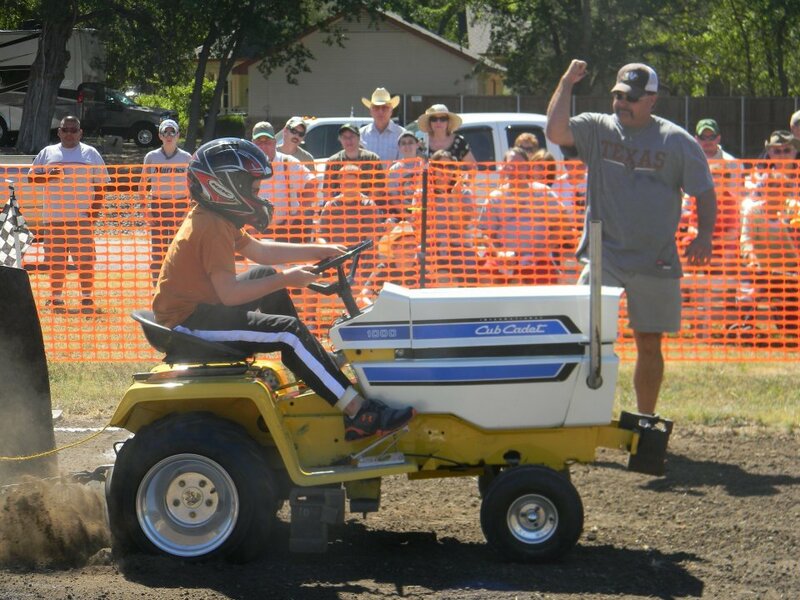 Lane Duncan will pilot his 'Texas T-Rex' tractor at Farmersville. 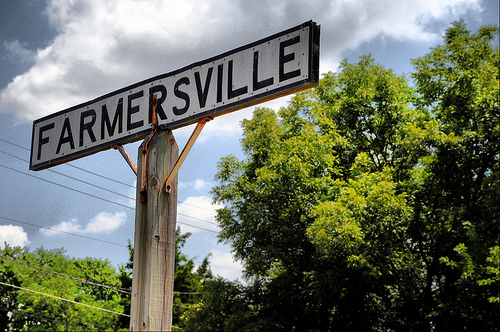 Farmersville was founded in 1849 by farmers in the area, and so named for the principal occupations of the families in the community. 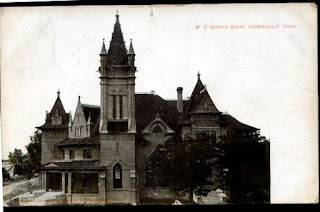 The settlement was a railroad shipping point for cattle, bois d'arc posts and major crops such as cotton and grain and onions. Historic downtown Farmersville still presents visitors with evidence of the rich agricultural heritage of the town and area. 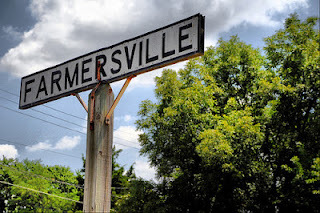 With agriculture and railroad such an important part of Farmersville history, it is only fitting the LSGTPA tractors will descend upon the Rike Street park area to battle along the Kansas City Southern rail road tracks. Several classes have very close points battles ongoing to determine the season champions. In the Youth Class, 5 points separate the top 5 pullers ! 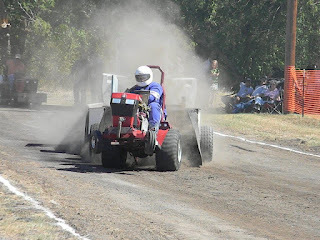 In the Stock Class, with the current points formula that allows for the dropping of the two lowest pulls, the top two pullers are tied, as is the Big Bike Class for motorcycle engine powered entries and the wild Mini Rod Class ! In all, six of the nine classes are still up for grabs with only three events left !! 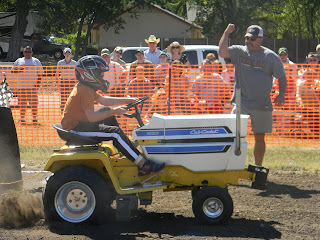 Ken Langhams Super Stock Cub Cadet will be stirring the dust in Farmersville. Sarah Moodys '99% Moody' John Deere will be one to watch in Farmersville. Wild wheels up action headed to the Old Time Saturday. James Moodys Super Rod entry will be looking for another win in Farmersville. Jerry Toland and 'Shinin Time' will look to top the Mini Rod Class in Farmersville. The points contenders will all be trying to gain precious points in this first event of the stretch, and those pullers who may not have a chance at the title, will be looking to knock the contenders out !! Steve Pierce will be battling for points in Farmersville. Ken Langhams wild Super Stock Cub will be one to watch in Farmersville. 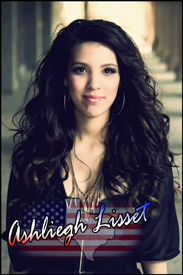 As an added bonus, Texas native and Nashville Recording artist Ashliegh Lisset will be stopping by the event to present our National Anthem ! The LSGTPA is excited and honored to have Ashliegh performing during opening ceremonies, scheduled to begin at 12 noon on Saturday. 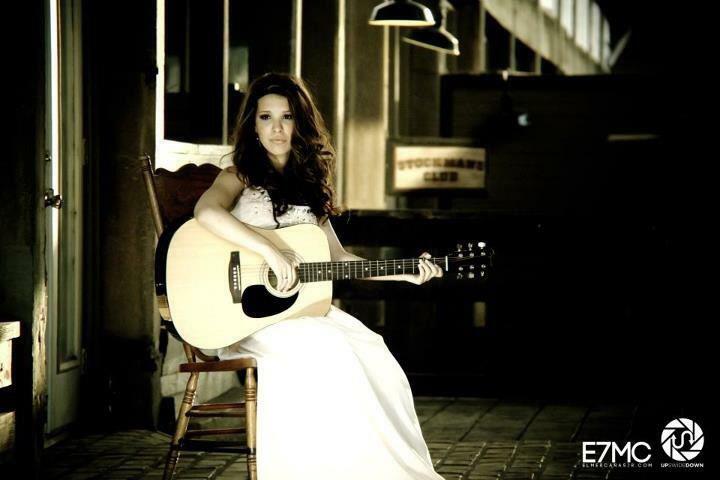 Ashliegh Lisset will be performing the National Anthem in Farmersville. 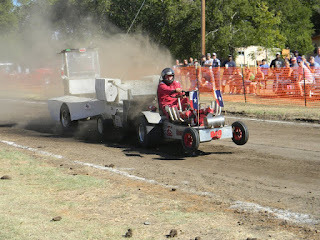 The LSGTPA pulling teams will head south to Barlett, Texas for the next stop on the 2012 pulling tour. 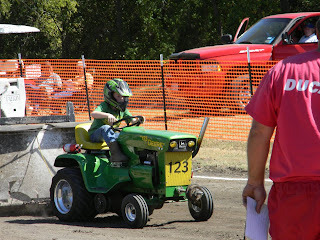 Old Town Celebration weekend festivities will include a tractor pull on Saturday, September 15th. The pullers will square off at high noon, at the track on HWY 95 (500 N. Dalton, next to Dollar General). The events will include a parade, 5K Run for the Heroes, LSGTPA Tractor Pull, BBQ and chili cookoffs, and live music featuring the Mark Richey Band. With the weather forecast predicting mid 80 degree temperatures, the conditions should be good for a great time outdoors !